Haven’t heard about Fish & Co. for a while until I received this news. 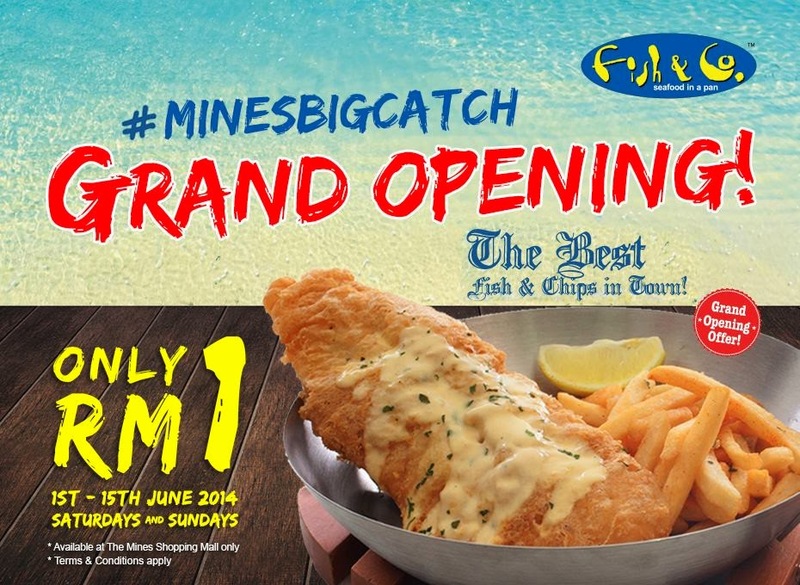 Known for its variety of seafood, appetizers, pizza and fish and chips, this family restaurant chain has expanded its franchise in Klang Valley to The Mines shopping mall with a brand new outlet while having a new menu launched as well but not without keeping true to the brand’s unique “seafood in a pan” style. Opened on last Sunday (1st June), the new outlet will be serving The Best Fish & Chips in Town for only RM1 for the first 50 pax at 12pm and 6pm on Saturday and Sunday from now until the 15th. All happening at The Mines only. The interior of the new outlet looks pretty cool (sorry, I don’t have a nice photo of it), it does resemble the inside of a classic ship. 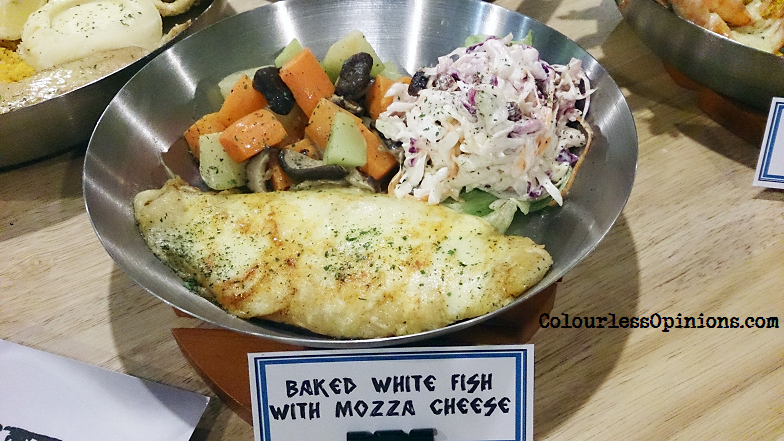 Baked White Fish with Mozza Cheese (RM19.95) – If you love cooked stuffs wrapped with cheese like I do, you’d definitely enjoy this one. 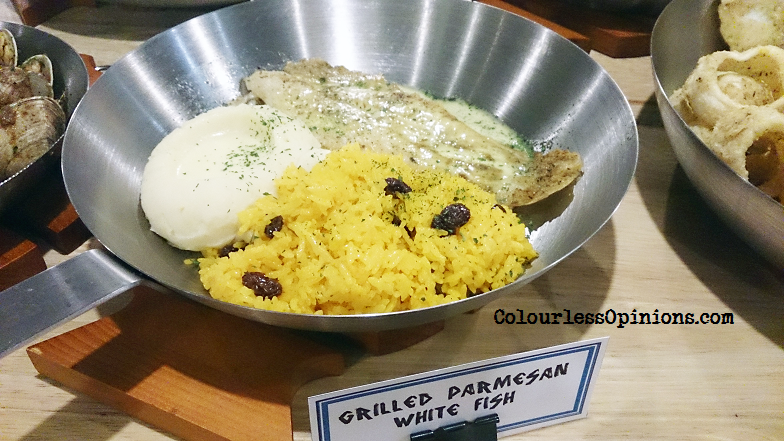 Grilled Parmesan White Fish (RM19.95) – Another flish dish stuffed with cheese, but with parmesan cheese instead of mozzarella, served with Fish & Co.’s signature lemon butter sauce. Yummy! 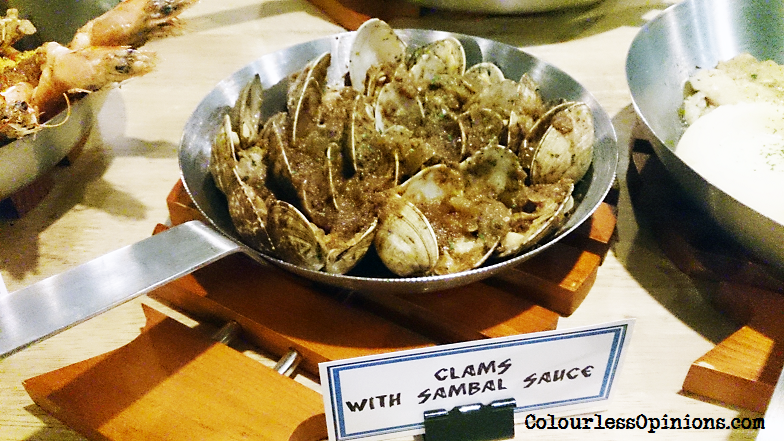 Clams with Sambal Sauce (RM13.95) – Not my type of food, but I’m sure those who loves clams and sambal would likely enjoy this dish. 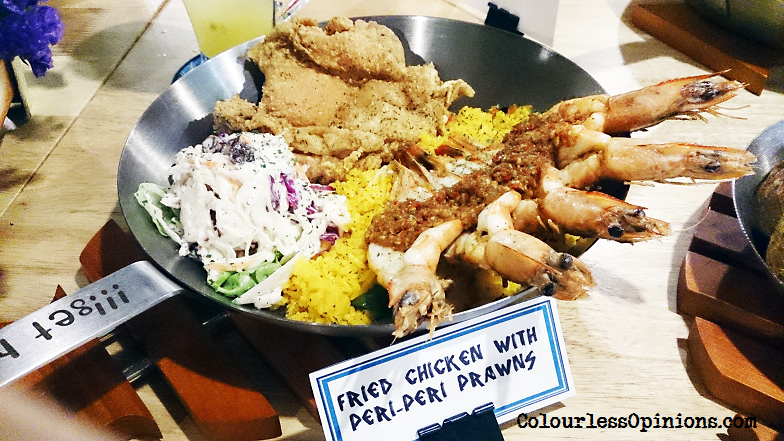 Fried Chicken with Peri-Peri Prawns (RM29.95) – Fish & Co.’s interpretation of Surf n’ Turf with crispy juicy chicken thigh and succulent Peri-Peri prawns. 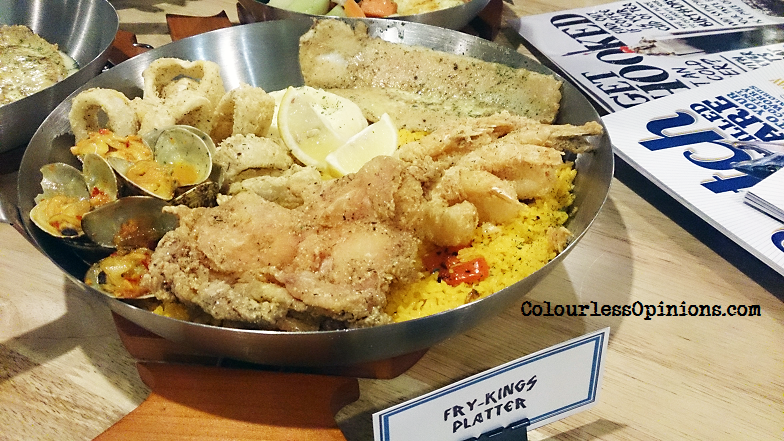 Fry-Kings Platter (RM60.95) – A little pricey indeed it is, but look at the pan-ful of stuffs you’d be getting: golden calamari, prawn fitters, white fish, friend chicken and curry butter clams, served with mashed potatoes and paella rice that comes together in a hearty meal. 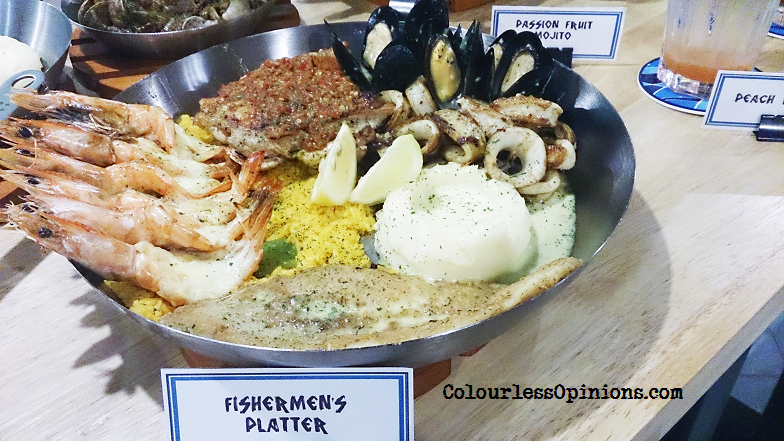 Fishermen’s Platter (RM60.95) – This one’s with grilled pan of calamari, mussels, fish fillet, baked prawns and juicy tender grilled chicken, served on a bed of mashed potatoes and paella rice. 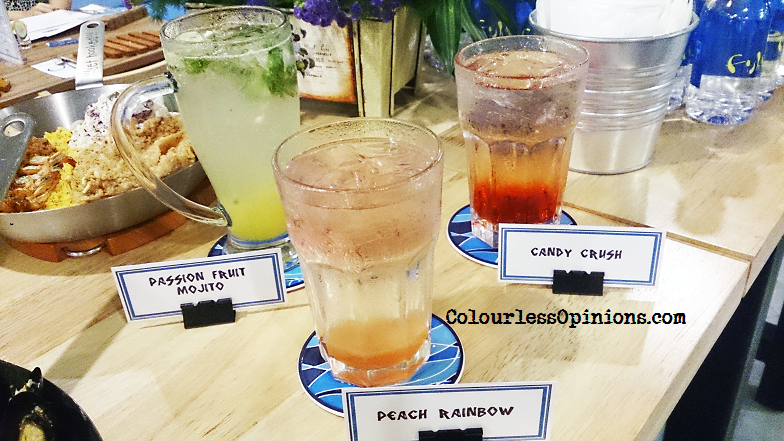 The new drinks: Passion Fruit Mojito (RM8.95), Candy Crush (RM7.95) and Peach Rainbow (RM7.95). Named the same as the once-popular mobile game, the Candy Crush is my recommendation for those who loves sweet stuffs as much as I do. Fish & Co. also provides healthier option that goes hand-in-hand with the current trends of Prescentarianism & Paleo Diet (a.k.a. Cavemen Diet to Crossfitters) which are popular among the health conscious fellows. Customers can now chooise from a range of healthy sides like salads and garden vegetables. By the way, did you know that the huge Fish & Co.’s outlet in Pavilion Mall are available to be reserved for party and functions at affordable prices? Log on to fish-co.com.my or their social channels @FishNCoMY for more details or enquiries.